Following the rise of Telegram in Iran as many Iranian’s main platform for social media and messaging, the Iranian government ramped up internet restrictions over a national ‘Iranian net’. The judiciary’s move to censor Telegram at the end of April 2018 spearheaded a series of actions to drastically change online controls in Iran. 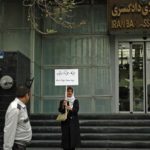 Far from its promoted self-image as progressive, the Iranian government’s new censorship techniques are “porous” rather than free. While publically rejecting censorship of Telegram in rhetoric, it has quietly promoted local messengers, making it increasingly difficult for Iranians to avoid using communication channels under the control of authorities. The table in our new Tightening the Net brief (p11) assesses Iran’s different messaging applications for their numbers of users, affiliations and implications for internet freedom. Put against foreign platforms the table shows that local messengers are failing to attain the usage levels of their foreign competitors, despite government efforts. Telegram continues to be accessed through circumvention methods, and increasingly messaging platforms such as WhatsApp are dominating online communication in Iran. But it is the rise of the platforms which most people don’t associate with the government which is particularly concerning. In August 2018, Iran’s Attorney General, Mohammad Jafar Montazeri, part of the conservative judicial body often behind Iran’s filtering policies criticised Iran’s Internet decision makers for not doing enough to develop national messaging applications. But in reality, the government has aggressively pursued development of national messengers for the past four years – worryingly (amid economic crisis) through Rouhani governmental funds. These applications have existed for years and have been widely distrusted and avoided by Iranians. They violate freedoms and risk users’ security in a number of ways. In early 2017, the Ministry of ICT launched incentives for software developers to create local messaging services to rival Telegram. Grants of approximately $260,000 USD were provided for every one million users a platform attained, as long as the platform complied with Iran’s regulations for messaging services. Incentives to create successful messaging platforms, to rival popular foreign platforms that were deemed as uncooperative with local data policies, went into overdrive in 2017. Large subsidies started in late 2017, whereby accessing local applications and websites would incur a fraction of the cost of accessing foreign platforms (see page 9 of March 2018 Tightening the Net). 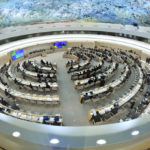 ARTICLE 19 has consistently criticised this process as flagrantly violating international standards on net neutrality. The most infamous of the government’s platforms is Soroush. Owned by the Islamic Republic of Iran Broadcasting (IRIB), the government messaging and social media application has been promoted by both the Supreme Leader Ayatollah Khamenei, and the Minister of ICT, Mohammad Javad Azari Jahromi for its protection of user privacy (when large amounts of evidence have pointed to the contrary). Another worrying trend is the lack of transparency of who is behind these platforms, with relationships between messenger platforms such as Wispi and Telegram’s forks (Telegram Talaee and Hotgram) and the government deliberately obscured. Bisphone, another mobile messenger released in early 2015 is widely acknowledged to have a reckless approach to user data and dangerous links to Iran’s intelligence bodies. Strong evidence also connects Telegram forks such as Telegram Talaee and Hotgram to the government. These forks access the Telegram platform through its open source application programming interface (API). Conflicting messages have come from within the government over its involvement, with sources from the Ministry of Intelligence confirming it is behind the platforms, while the Ministry of ICT has attempted to distance itself. Government interference on platforms was further evidenced in August 2018 when Iranian followers of Persian media outlet Radio Farda reported that the Telegram channel was censored only when they accessed it through Talaee or Hotgram. To push the use of national applications further, the government has even compromised the digital security of well-known Telegram users who refuse to move to a national alternative by sharing their data with intelligence and policing authorities. In July 2018, in Isfahan, a number of administrators of food channels on Telegram were called in for questioning by the authorities and threatened with fines for using VPNs to access Telegram, and further prosecution, if they did not move their channels onto a national alternative, such as Soroush. The channel administrators had previously been forced by the Supreme Council of Cyberspace to register their channels on a government website run by the Ministry of Culture and Islamic Guidance. The information provided as part of the registration process was subsequently used to target and threaten them. This registration procedure is now closed, as all channels are expected to move onto national platforms, while the data seems to be accessed. Soroush is owned by the Islamic Republic of Iran Broadcasting (IRIB). If platforms follow the policies set in place by the SCC (see the appendix of the September 2017 Tightening the Net report), encryption would be banned and all the platform’s data would be accessible to authorities. Initial assessments of Soroush unveiled worrying features, including the ability to show personal details of channel administrators, including phone numbers and details of their membership of other channels. This was best seen in April 2018, when a mobile application developer shared on Twitter how he could openly access the user data of the Minister of ICT, Jahromi, including his telephone number. Generally national platforms have no rigid privacy protocols to protect users, leaving Iranians vulnerable to how the government will use their data. The dangers of what data these applications can be collecting is very real, as significant precedent exists for this kind of behaviour from Iranian authorities, where data from communications has been used to oppress or persecute users. Examples range from collecting information on whether users have banned applications on their phones as seen through the application Snapp to more serious examples from 2009, when intelligence authorities used mobile phone tracking technology to locate and arrest Isa Saharkhiz, a journalist covering the post-election protests of 2009.